The other day I was sitting on the deck with our dog when I watched a ladybug land on her little white sleeping snout. She twitched for a moment in her sleep but otherwise she was oblivious to this little bug taking a pause in her day. I tried to stealthily reach for my phone but the ladybug caught on and flew away (So much for the Instagram moment.) I started thinking about ladybugs and why they are so much more charming that say, spiders or centipedes. 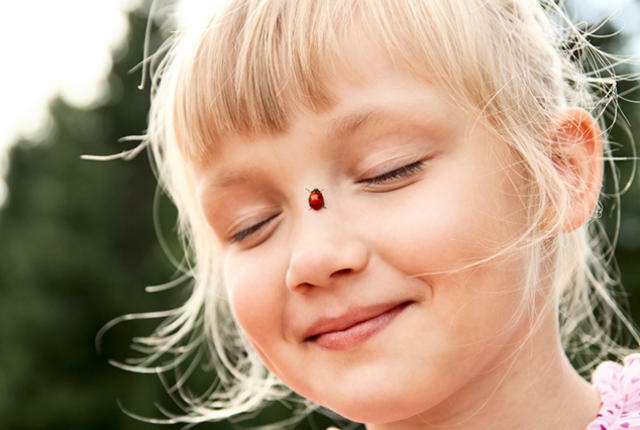 If you think of a ladybug landing on you as a little bit of good luck, you'll enjoy this article.